Inspired by the reappearance in the Italian production of a “political cinema” in the last decades, the paper provides a preliminary reflection on the semantic horizon outlined by that ambiguous term, and then proceed to investigate the various facets that distinguish this scenario: from the works focused on the analysis of the “politic body” to those focusing on ideology; from films that interpret the politics as a representation of some unresolved issues in recent and past history to those more explicitly “militants”. What do we mean for italian political film and when is it born? The most correct definition in order to provide a genealogy is italian “political-circumstantial” film. It is not a genre, but a method: so the political-circumstantial film riveals political truths, by the clues or circustantial evidence in the shots, sequences or in the whole structure of the film. We can find political-circumstantial films in Italy during the Neorealism. Luchino Visconti’s “La terra trema” is an example. After, at the beginning of 50th, other early important examples are Giuseppe De Santis’ “Roma ore 11” and Luigi Zampa’s “Processo alla città”. 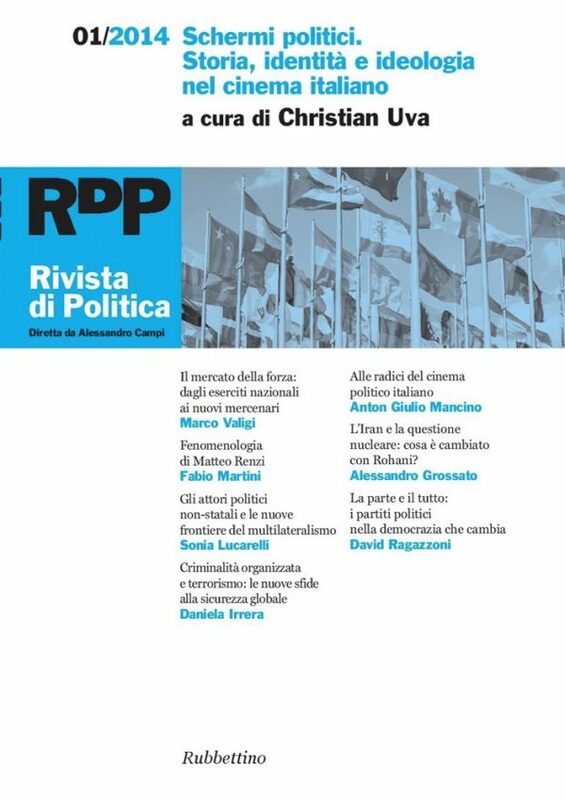 From the 60th to the present we have different styles and authors of political-circumstantial films, like Francesco Rosi, Elio Petri, Damiano Damiani, Giuseppe Ferrara, Paolo Benvenuti, Marco Tullio Giordana, Pasquale Scimeca. The so-called political-circumstantial films are the consequence of the many italian political misteries without solutions. 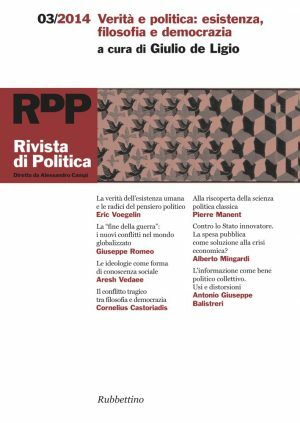 The article takes into exam the various ways in which Italian cinema has depicted the political leaders as “sacrificial figures”, adopting a point of view closer to anthropology than to political studies. In the first part it explores the ancient topos of the “madness of the king” as revisited in two recent films, Viva l’Italia and Viva la libertà. Then it focuses on two figures that haunt the Italian imaginary since decades: Aldo Moro, the sacrificial victim who returns as a ghost (Buongiorno, notte; Romanzo di una strage; Il Divo), and Silvio Berlusconi, the pharmakos or scapegoat that no one manages to destroy (Il Caimano, Shooting Silvio). The article investigates the relationship between the Left identity crisis and the Italian Cinema. The hypothesis put forward is that it was cinema that worked as a crucial reference point and source of meaning for turning the ideological defeat of Communism, and the dissolution of the Italian Communist Party, into an epos. In fact, it is possible to point out a number of fundamental strategies at work within a cross narrative which retains the epic force of a melodrama built upon the troubled relationship between national past and present. Amidst growing pressure from a globalized market and culture, in most European countries a defence of state support to the cultural industries, and to cinema in particular, is still strongly advocated in the name of the fundamental principles of cultural exception and diversity. Within this context the provision of public funding to the Italian film industry has evolved substantially in recent years, hailed as beneficial by some or criticized as a negative revolution by others. After a genealogical overview of laws, policies and institutions, this chapter first outlines the main changes introduced by the current “Legge Cinema” starting from 2004; it then proceeds, through a select analysis of hard data and documentation available, to analyze the actual impact (e.g. current trends, pitfalls and future prospects) of such policies with a specific focus on direct and indirect aids to development and production. Alessia Chiriatti, Non-state actors and stability in South Caucasus: the organized crime in Abkhazia and South Ossetia and Turkish escape from isolation. War in Abkhazia and South Ossetia occurred during the last decades are still threatening Georgian peace and security. Smuggling, clans and organized crime, insisting on borders and almost institutionalized, could be considered as non-state actors and as a peril for the precarious integrity of Georgia. From the other hand, Turkey could help independent issues, thanks to economic relations and peaceful development. Could non – state actors problematize the security in the vulnerable South Caucasus? Could Turkey help to de-isolate Abkhazia and South Ossetia by managing security, or its same stability is exposed to these conflicts? This article aims at analysing the crime-terror nexus, by assessing and evaluating the current state of multilateral response. It is basically perceived as a strategic alliance between two non-state actors, both able to exploit illegal markets and to influence policy-making on a global level. Since this can be conceived as a phenomenon challenging both states and international level, producing important implications for policy at national and international level, there is a need to understand how multilateral is the current state of response and how efficient are the present countermeasures. Sonia Lucarelli, Multilateralism and non-state actors: oxymoron or natural evolution? For a long time multilateralism has been understood as a form of coordination among three or more states on the basis of generalized principles of conduct. The literature on the definition has debated on the number of states, the type of generalized principles, the institutional form that multilateralism takes, but only seldom and very recently it has started to debate on the actors involved: states have always been considered the only actors in the game. With the end of the Cold War, the rise of visibility of non state actors and the rise in number and power of regional aggregations, the logic of the web society & politics has influence also the reflection on Multilateralism and scholars have coined new terms to refer to a modality of interaction (Multilateralism) which does not include only states but also non state actors. This article reconstructs this shift and evaluates the extent to which a concept such as that of Multilateralism can indeed be stretched to become applicable to a world made of a plurality of actors with non-state characteristics. Since the end of Cold war, the State seem to be challenged by several other actors (i.e. non state actors) in a number of policy areas, including the use of force, and hence to have lost part of its power. In order to further explore this claim, this article will examine the relation between States and Private Military Firms (PMF). The hypothesis that will be investigated is that the transmission of functions from the State to private actors affects the distribution of power within the State rather than the power of the State in the international system. Special attention will be paid eventually to how the relation between States and private actors affects the functioning of democracy. 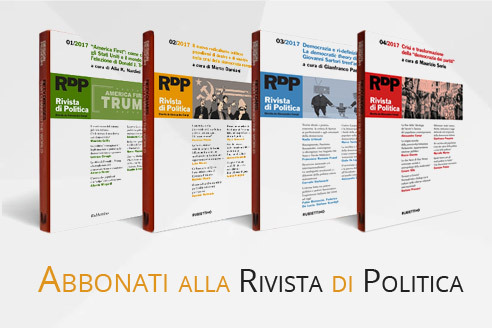 This paper focuses on four recent books that have recently been published in Italy on the concept of political partisanship and the crisis of political parties in most contemporary Western democracies – Partito by Damiano Palano, Forza senza legittimità by Piero Ignazi, Il vicolo cieco dei partiti by Marco Revelli and Antipartiti by Salvatore Lupo. Despite their different methodological approaches, these books equally emphasize the need to subject the role, limits and potential of parties to fresh examination. 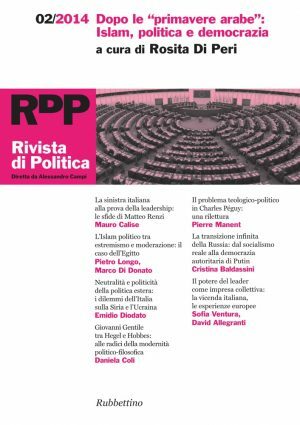 At the same time, they pave the way for substantially rethinking the relationship between political partisanship and representative democracy and start filling a gap in the current Italian literature on political parties. As Nancy Rosenblum has recently argued, parties are the darlings of political science and the orphans of political theory. 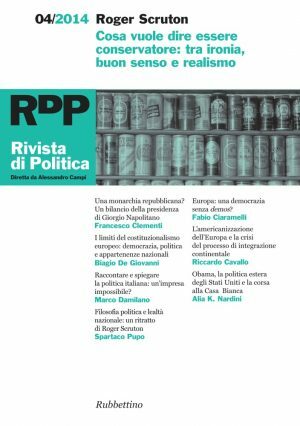 This paper critically engages with the work of Palano, Ignazi, Revelli and Lupo in order to suggest why, and how, (Italian) political theorists should make political parties and partisanship the focus of their systematic attention.